I decided to re-organise my style of portfolio updates. As shown above, instead of the usual single table, I categorised my stocks into "Telcoms", "Conglomerates", "Services" and "Penny Stocks". Looks better now, slightly. I am heavily invested in all 3 local telcoms and blue chip conglomerates. If you wanna know why, just check out my earlier posts below. 1 lot of Keppel Corp was added to my portfolio. This stock is more of a capital-appreciation stock. Similar to F & N. However, the amount of dividends distributed by Keppel Corp are not too shabby too. With plenty of new order wins this year, I expect the dividends to increase in 2012 and beyond. With the addition of Keppel Corp, I am getting really close to a solid "100k Portfolio" full of blue chips. I think this is a respectable financial achievement at my age. Nothing spectacular though as I have no car and housing loans to service. The month of May is gonna be a Boomz month for me. 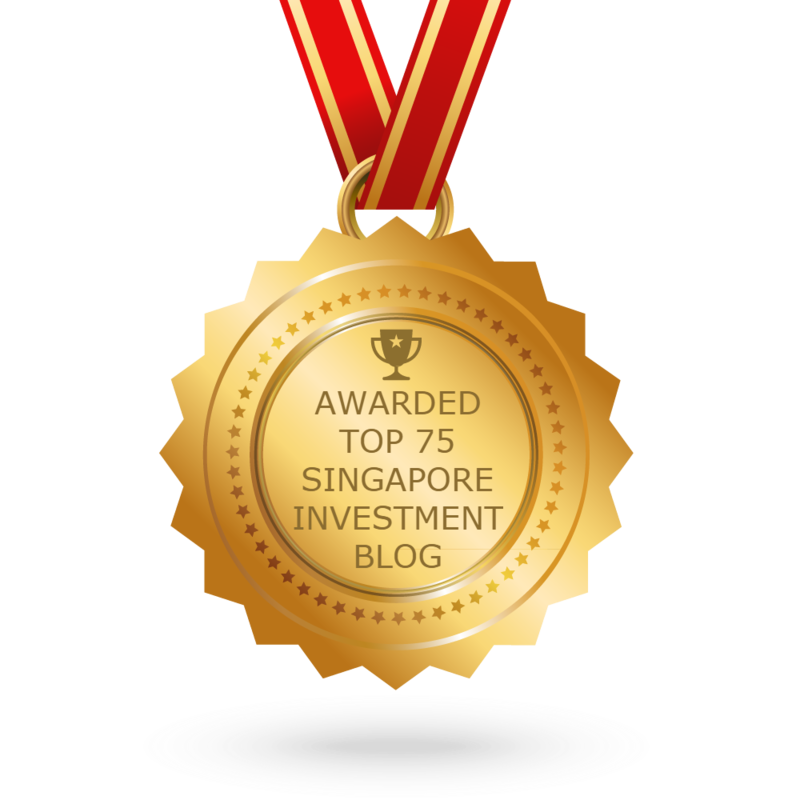 I will be receiving lots of moola from SPH, Starhub, CMT, CLT, Suntec REIT, First REIT, UOB Kayhian and Neratel. If the market goes into correction mode in May, I might invest another $5k to round off my total invested capital to $100k. I really must thank you for reminding me to include cash holdings in my portfolio review. Have since edited my post after your comment. Appreciate it. Just curious on why you added Keppel Corp. It's true that it has announced contract after contract but do you feel this is cyclical and may represent the "peak" of earnings for the Oil & Gas Industry? Just my personal observation, though. Would love to hear your views. What do you mean by cash holdings? How do u derive at $1200? Yes. I agree the oil and gas business is cyclical. But I do not think it is the peak yet. I believe the price will continue to rise further. Secondly, Kep Corp also have other types of businesses in property (Kepland), NEWater and building Power plants. I intend to take profit when the price goes above $13. "Cash Holdings" means the amount of cash I have. do you have any backup fund? for eg. emergency fund? Where and how can I buy blue chips? Seeing your success, I am interested to follow your steps to build a healthy portfolio too. Can you teach or advise me? singtel is a dead horse. too diversified in its ops, too aggressive, over expand. money park there collecting divd is a waste, its divd is not impressive either. dont have to over diversified in telcom. can sell ya singtel to get smrt coming divd is attractive and its current pricing has more room for growth. sell ya penny also, it is contradiction to y people invest based on divd, compared to growth. together with singtel sale can get hyflux pref shares for 6% divd. water is essential. take care and huat ah! Singtel isn't a dead horse at all. Most of its funds were spent on expanding overseas instead of giving it out as dividends. Just my humble view point. Your portfolio seems too diversified. Why don't you consider consolidating. 100K invested in 13 stocks is pretty challenging for someone holding a day-job. Your REITs are Firework, reaping in easily 6+7% of dividend. However, all 3 telcos >> Why not your shed off 1-2 to focus on the 1 that fixs your long term goals in terms of business models and payout ratio ? For the Big Guns, I'll rather focus my time, effort & money on SPH which at current price is yielding around 6.5%. For a diversified portfolio like yours, I'll not wanna further diversify my portfolio by adding a conglomerate like F&N. My invested capital is ~100k like yours. But I'm reaping in 6k/annum in dividends from StarHub, SPH & AReit. Hi, regarding some of your dividend that you collected for year 2011. You meant that you collected $308.72 for FY2011? I have a few counters that you have (In fact I have lots than you!) but it seems that I did not receive so much dividend? The amount of dividends collected is the total dividends I received since Jan 2010. I used to have 3 lots of Suntec REIT btw. Well tot u collect $3k for 2011 for $100K which is a lot! My own investment of $210K only around $5K per year !!!! Miss the boat to get SPH and Keppel Corp during 2009, started to invest in undervalued US stocks hmmmm... got capital gain of 23% but $US down. Most of them in big blue chip company like JNJ, COP, BRK.B and DOW... they were very cheap during 2009. Hope US$ will rebound after QE2 which is ending this JUN. Soon or later US will need to raise the interest rate to combat inflation.